5 JUNE 2018 MANILA – Anyone would naturally become stressed out when planning events, whether an intimate one or a huge gathering. Venues are a challenge to begin with when one has to consider many factors such as location, layout, design, stage set up, parking, security etc. Likewise, timely coordination with the service staff is as important as everything else to ensure that all requirements mentioned above are handled properly. Fortunately, one brand stands out when it comes to enjoying a strategic location with excellent facilities and events services professionals who go the extra mile. SMX Convention Center, one of the largest and premier venues in the country, raises the bar for unparalleled service and excellent location. 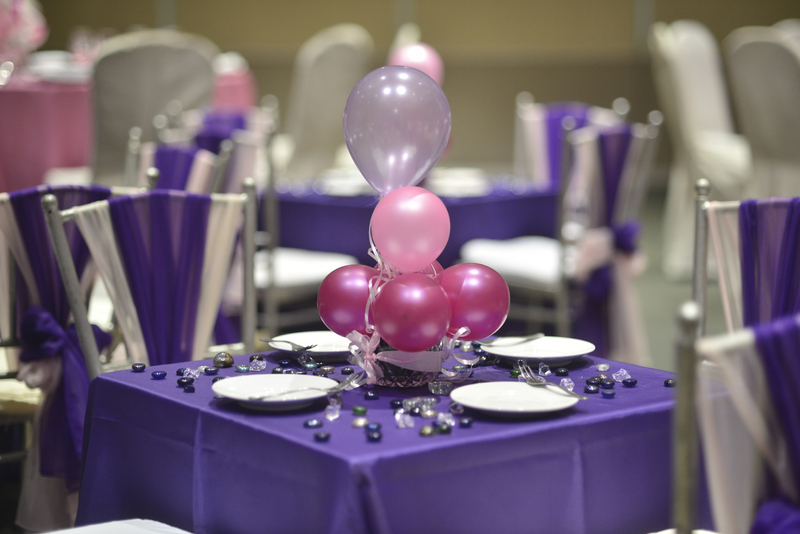 Located mostly inside or adjacent to the SM Malls, the convention center is a suitable venue for any type of celebration or event. SMX Convention Center is located in key cities in the Philippines such as the Mall of Asia complex in Pasay City (SMX Manila), The Fort Bonifacio Taguig City (SMX Aura), Lanang, Davao (SMX Davao), Bacolod (SMX Bacolod) and Cebu City (Sky Hall Seaside Cebu). Megatrade Hall and Cebu Trade Hall, who are both under the SMX Convention Center management are the pioneers in the Meetings, Incentives, Conventions and Exhibitions industry. 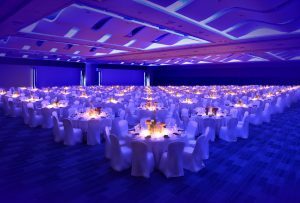 With its flexible function rooms that can accommodate any type of set up from banquet to cocktail, any event can be easily staged in either the Halls, Function Rooms and Meeting Rooms of any SMX property in the NCR, Visayas and Mindanao regions. Its seamless service includes accredited caterers and suppliers who go through the strict accreditation process every year. SMX Manila’s and SMX Aura’s accredited list of caterers are Conrad Manila, Albergus, Bizu, Bono Gelato , Event Shaker Mobile Bar, Hizon’s, Josiah’s, Juan Carlo, Kitchen City , M Catering, Manila Catering, Tamayo’s , The Creamery Catering, The LJC Group and Tjoe The Caterer. SMX Davao’s accredited list of caterers include Chippens, Grand Menseng Hotel and Villa Margarita while SMX Bacolod has L’ Fisher Hotel, Casa Noble, Business Inn and iMay’s Bar and Restaurant. 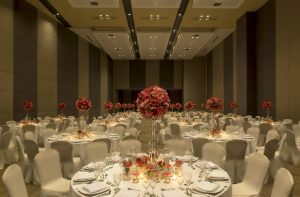 Sky Hall Seaside Cebu’s accredited caterers include Radisson Blu Cebu, Café Laguna, Creative Cuisine and Grand Convention Center. The Event Services Managers who work closely with the clients periodically undergo training to enhance their skills in managing events and address clients’ and guest’s concerns promptly and accurately. For the past decade, SMX Convention Center has been a top choice not only for corporate events and international trade shows but also for anniversary celebrations, weddings, debuts, birthdays, graduation balls and baptismal receptions. Location-wise, SMX Manila and SMX Davao are both conveniently a short walk to the hotels which are connected via bridgeways of the malls. With all these ease and comfort under one roof, any event organizer can efficiently mount successful celebrations at SMX Manila, SMX Aura, SMX Bacolod, SMX Davao and Sky Hall Seaside Cebu. For future events, visit the nearest branch for an ocular inspection. The Sales Managers will be able to provide you with all the required information from rates, accredited caterers, and accredited suppliers to partner hotels. You may also call Revenue and Reservations Department at (632) 556-8888 local numbers 2013, 2014 and 2015 or visit www.smxconventioncenter.com and SMX Convention Center social media platforms in Facebook and Instagram for more details. SMX Convention Center is the premier venue for meetings and events in the country. Under the flagship of SMX Manila are SMX Aura, SMX Bacolod, SMX Davao and two Trade Halls namely, Megatrade Hall, Cebu Trade Hall and Sky Hall Seaside Cebu.